Build customer service, redefining it in new ways. In other words, create a service culture. Great customer service is a mentality that starts at the top, but to be successful it must be shared by everyone—not just the frontline reps. From accounts payable to IT, everyone must be on board to succeed in building customer loyalty. According to author and customer service consultant Shep Hyken, the importance of service must permeate everything. “You have to define it, disseminate it, deploy it through training, demonstrate it through your own actions, defend it and celebrate it,” he writes. Not to mention communicate it and practice it. For brands, it’s no longer about simply marketing to contractors and selling product. Today’s empowered contractors are demanding more. According to an article with SAS executives entitled “Achieve Customer Centricity in a Hyper-Connected World,” B2B customers (in this case contractors) want three things: value, utility and emotional connection. Brands can deliver all three by solving contractor problems. How do brands define contractor problems? Through connection and engagement. Not just generally—specifically. Know how many employees they have, what they think of industry trends and business threats, what keeps them up at night, what they read, where they go for information, what they want from you, how they are trained on new installation methods, and more. Begin by using surveys and focus groups to help shed light on their problems and concerns and the contractor connection process. Connect with distributors too, as they are another valuable source of contractor information. When connecting and marketing to contractors, make sure the assets and information you provide are valuable and engaging. On your Website. Develop and post content such as installation guides, educational articles, case studies, product comparisons, podcasts, videos and more. These are great vehicles for addressing contractor problems and presenting solutions. At the Distributorship. Look for ways to share expertise through your distributors, as they are on the frontlines with contractors—nobody knows them better. This makes the distributor invaluable in discovering contractor concerns and helping to position you as a solutions provider. Distributors can host manufacturer-conducted training sessions as well as offer the brand-supplied, in-depth technical information contractors are seeking. Through Social Media. Understand and consider using the right combination of social media platforms, whether it be Twitter, Houzz, LinkedIn, Facebook, Pinterest, Snapchat, and/or Instagram. With these social sites, brands can engage one-on-one with contractors to solve problems and create emotional connections that resonate, building customer loyalty with contractors over time. Time-crunched contractors need help building their businesses. Providing them with social media content targeting homeowners would make new business efforts easier. Contractors and homeowners can often be at odds over construction delays or cost overruns. Manufacturer training on peaceable conflict resolution could build contractor confidence in their ability to interact with homeowners positively. Contractors often have to translate complex construction techniques into homeowner understandable language. Downloadable iPad presentations geared to homeowners on topics such as insulation, solar power or roofing would accomplish this for them. With an ongoing labor shortage, contractors are struggling with both retention and recruitment. Brands could share their human resources expertise—either through online content or distributorship training—to teach contractors how to find, recruit and keep good people. 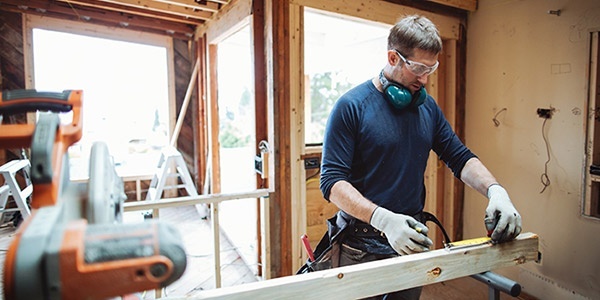 Once you’re connecting with and engaging contractors, take a fresh look at your traditional service models in light of what you’re learning. What do contractors think of your warranties—can their input help you make them better? How about your technical support—is it difficult for contractors to find on your website? Are there application and installation videos for your products on the site—and have you posted them on YouTube, where contractors can find them easily? How are you handling problem resolution? Have you trained your people to be thoughtful and responsive, going above and beyond? Manufacturers must earn the customer loyalty of today’s technologically empowered contractors, who have more options and are rethinking what they want from brands. Manufacturers who redefine customer service to solve contractor problems will become solution providers, building the relationships that will build contractor loyalty as well as sales.